Hidden gem aka Saweni Beach! I am back in paradise aka Fiji after spending some quality time at home with my family and friends! Last year I mainly blogged about my time volunteering at the Treasure House, but I also got up to some cool things in my free time. If you are traveling to Fiji, these might be worth knowing. I discovered a hidden gem! People mainly go to the most common beach Wailoaloa but if you are after something a lil more beautiful and peaceful, check out Saweni Beach. 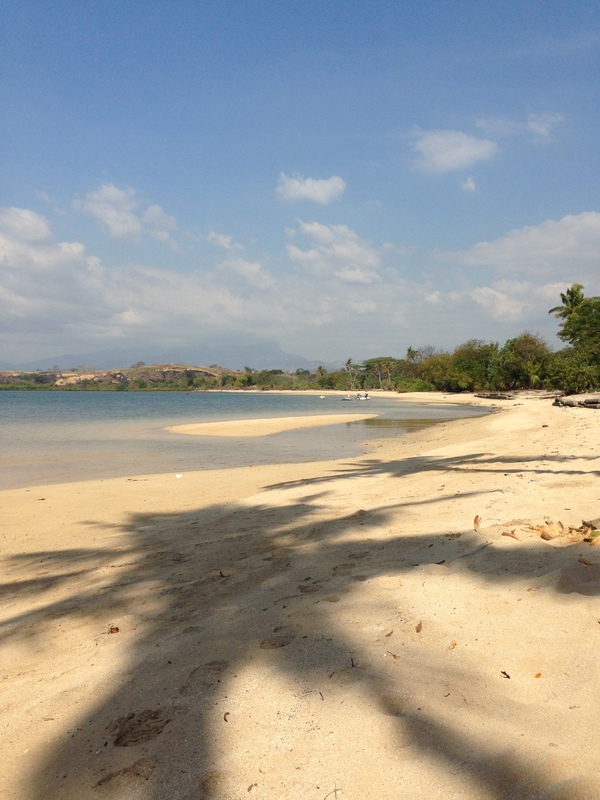 It is between Nadi and Lautoka and virtually secluded. When I was there I felt like Mahsa, Jay and myself had our own private beach. It has white/yellow sand unlike Wailoaloa where the sand is more brown and powdery. 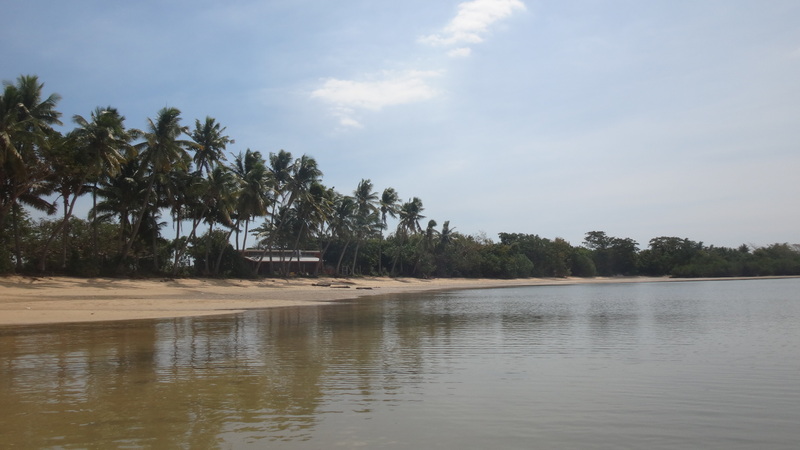 It is lined with coconut trees and the water is very calm and also cooler than the general Fijian waters. This made for a much more refreshing swim on a hot and sunny day. Only thing it lacks is a coral reef to snorkel hehe. Getting there is easy if you have a car, it is about ½ way between Nadi and Lautoka, you take a left turn which is sign posted Saweni Beach and also Orchid Resort. If you are more adventurous and/or on a budget, take the local bus. More often than not, you’ll get a bus which plays loud music from the radio 2Day FM. Which mainly plays reggae and general hit music, makes you feel like dancing. Bus options are either no windows or closed with A/C, I prefer no windows and enjoy the fresh island breeze. Bus’ come very regularly and it should only costs $1.50 FJD each way. The walk to the beach is via a dirt road for about 1.5 km, at midday it was boiling so once we got to the beach it was straight into the water! I would suggest bringing a packed lunch since there’s not any restaurants. 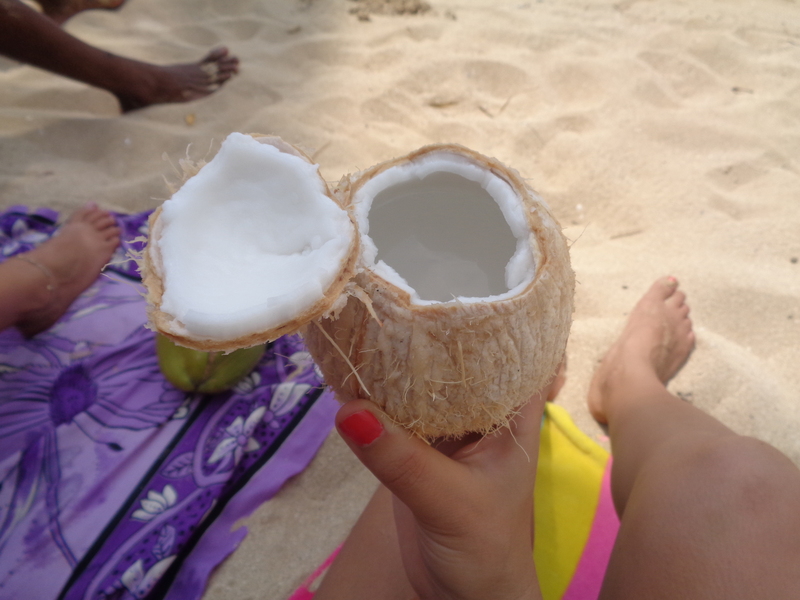 Luckily for us, Jay can climb a coconut tree and we enjoyed fresh coconut juice & the flesh inside yum yum! 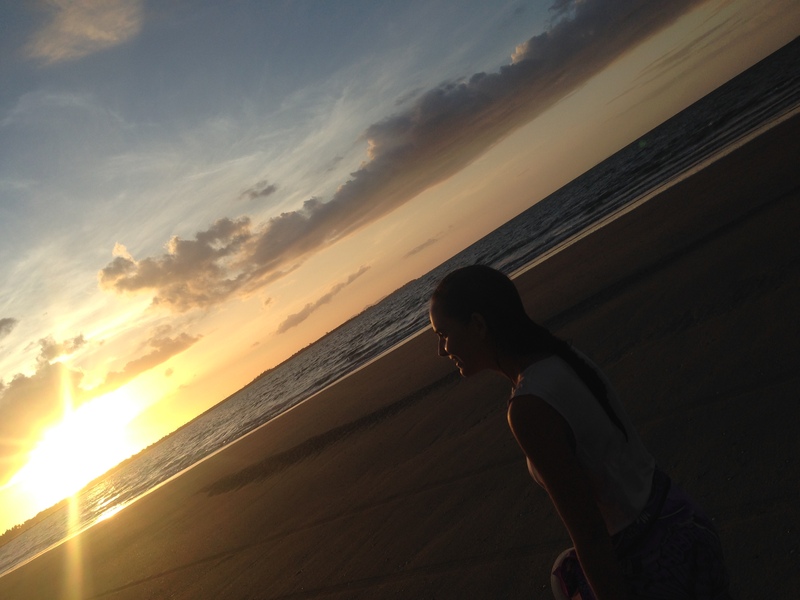 I’m looking forward to the next time I go to Saweni Beach Yay! Hi Alice, great to see your post, all sounds so picturesque and you have described everything so well that I think the Figian tourist board should employ you.! Enjoy your time with Jay, love to you both. X X.
Hi Sweetie Poos, sounds wonderful. Wish I was there. Was supposed to be sailing today but Michael can’t get his act together as usual. Hopefully go tomorrow instead. Off to Phillip pool now to do some laps. It willbe very exciting for you & the kids on Monday. Hopefully the little ones haven’t forgotten you. Hi Daddy poos, that’s a shame about sailing. At least you got some laps in. we’re going swimming at the beach tmoz yay. Apparently all the children are still at Treasure House, even baby Joel who I thought may be with his adopted family by now.